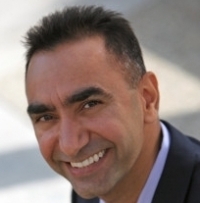 Jag Randhawa is a Technology Executive, Professional Speaker, and Executive Coach. Jag has more than twenty years of technology industry experience with a strong track record of building high performance teams and award-winning products. Jag is a frequent speaker on the topics of Innovation, Employee Engagement, and Leadership. Jag is the mastermind behind the MASTER innovation program and the founder of Idea Employee Labs, a management consulting company. Jag shares a deep passion for humanity and a desire to make a difference in the world. Born and raised on a farm in rural India, Jag developed a sense of appreciation for doing the best with what you have, which translated well into the corporate world. Jag started programming in his early teen years and got a full-time job as an engineer at age seventeen after completing his diploma in Electronics and Communications Engineering. Subsequently, Jag obtained a Bachelor of Science in Information Technology, but his thirst for continuous learning extends from neuroscience to Zen philosophies. Jag lives in the San Francisco Bay area with his wife, a neuroscientist, and two daughters, whose smiles can melt anyone’s heart. The function of the IoT Community, is to focus on the adoption & application of IoT in commercial environments, seeking to understand & contribute to applying the technology or overcoming the wide variety of barriers, inhibitors, and technical & operational issues. As a member of the board, Jag will provide impartial input and guidance to the overall vision, strategy and execution that is helping to shape the current and future direction for the IoT Community, as well as the broader IoT industry.